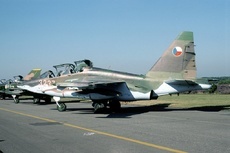 A Sukoi Su-25 fighter jet of the Armenian Air Force went missing. The wreckage of the plane was found in the mountains near Maralik. Both pilots died in the crash.